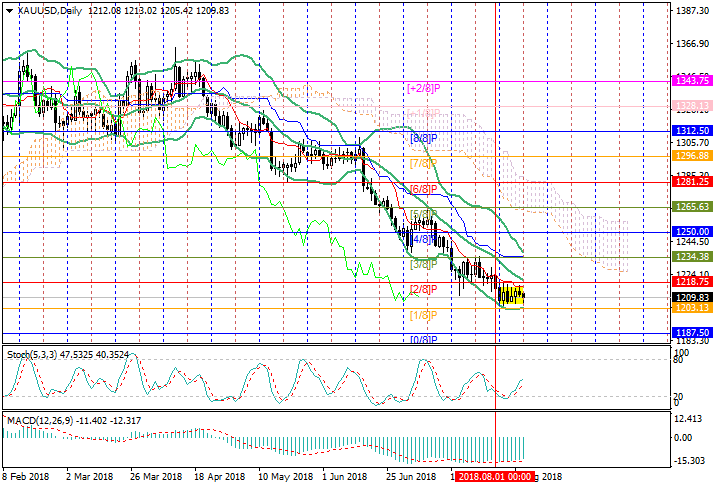 On the D1 chart, gold quotations has been traded in the range of 1218.75–1203.13 ([2/8]–[1/8]) since the beginning of the month. The price is consolidating before a significant movement. The breakdown of 1203.13 will bring the price to the bottom boundary of Murrey trading range to 1187.50 ([0/8]). The level at the center line of Bollinger Bands at 1218.75 ([2/8]) is seen as key level for the "bulls". In case of its breakdown, the ascending movement can continue to 1234.38 ([3/8]) and 1250.00 (the central level of the Murrey range [4/8]). However, so far the continuation of the decline is more likely, since Bollinger Bands are directed downwards, confirming the presence of a downtrend, and MACD histogram is calm in the negative zone and its volumes are significant. Resistance levels: 1218.75, 1234.38, 1250.00. Support levels: 1203.13, 1187.50, 1171.89. 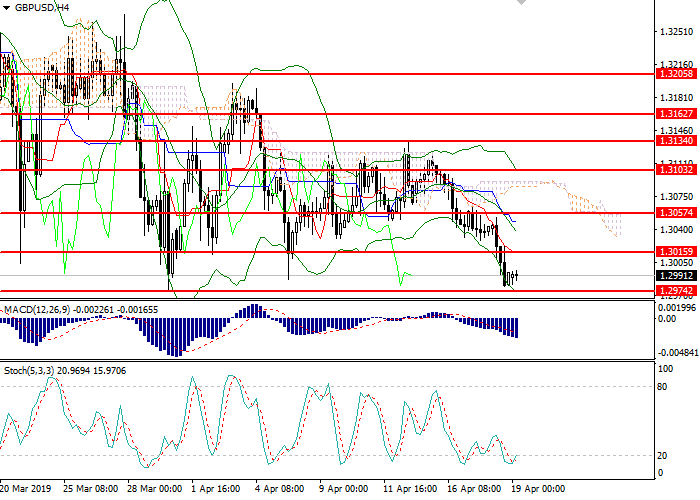 Short positions may be opened below the level of 1200.00 with target at 1187.50 and stop loss at 1206.00. Long positions may be opened above 1218.75 with targets at 1234.38, 1250.00 and stop loss at 1212.00.